In February of 2009, WARA hosted their first ever Iron Chef Competition. The success of that event prompted them to make it an annual event.with a goal to showcase local talent and gain recognition for the Association. 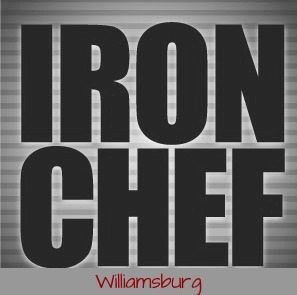 This year the event will be held on Thursday March 7, 2013 from 6:30 PM to 9:00 PM at the Colonial Heritage Club 9 local chefs battle it out in an Iron Chef competition similar to what is seen on many of the top-rated cooking shows on television.Enjoy the excitement and thrill of the rivalry. 5 of Williamsburg’s premium restaurants who will serve their greatest cuisine, with heavy hors d’oeuvre. Also included in your admission price is the opportunity to taste over 50 wines from around the world sure to tantalize your palette. The Wine and Food Expo portion of the evening will showcase an extensive selection of wines as well as a handful of specialty dishes from local WARA restaurants. There will be a SPECIAL pre-event tasting with Premium wines available for your tasting. This will be from 5:30 – 6:30 and the cost of this is $100 per person. There will only be 100 tickets sold to the pre-event.